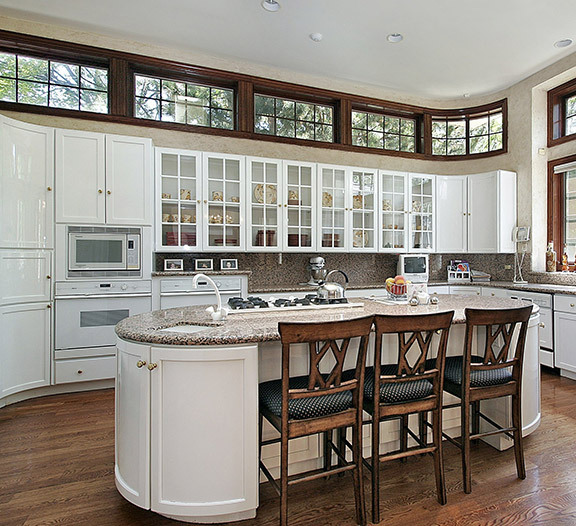 The idea of remodeling your kitchen appears on everyone’s list but few go ahead: Why? Well, that is mostly due to its exorbitant cost. But fear not, for we have compiled five mantras for you to remain steadfast to so that no matter what, you will be beaming at the end of the ‘ordeal’ much like your new countertop. Here is how you can reduce your kitchen remodeling cost. As per data provided by Improvenet, Americans spend between $12,000-$21,000 on average on a kitchen. Of course, this includes substantial labor costs, which according to the National Kitchen and Bath Association, can range between 20-35 percent of the total budget. This is where you come in. Once you have prepared a list of must-haves, see what you do not need. Give the list of essential work a long hard look and remove anything that is not mandatory. Now, see what jobs you can perform on your own. Cabinet replacement? YouTube is full of videos that instruct you how you can do this. Similar, simpler stuff like replacing a faucet, changing door panels can be done on DIY basis while more technical stuff like electric rewiring, plumbing is best left to experts. This way, you not only save money but that extra cash gives you a chance to invest in better products. Can you afford to pay all the costs upfront or do you need help? How you want to pay is more important than how much you want to pay. Due to their tax-deductible components, home equity loans are the most favored options, along with refinancing, taking out a personal loan or taking a loan against a retirement plan. And before you say “cash is better,” would you rather borrow money at a low rate of interest or withdraw money from an account that is currently earning a high rate of return? Think about that. Also, remember that any contractors you hire will take money up front for the materials they buy, so it is best to avoid any last-minute issues. So no matter which route you take, keep the money ready. If you plan to live somewhere else, factor the costs accordingly in your budget. If this seems expensive, maybe you can get the people to work at times when you are not at home? If you must move, how about asking friends for help? Do not hesitate in asking for help… after all, a dollar saved is a dollar earned. Kitchen remodeling, especially when it comes to electricals, may not always mean that your current electricals do not work. If at all you are replacing them, check if you can sell them in second-hand shops. Or simply take pictures of your old but usable equipment like refrigerators, ovens, chimneys, even utensils and upload them on Craigslist or even Facebook Marketplace. If your old oven and refrigerator pay for a new backsplash, that cannot be a bad thing, right? Factor in an additional 10-20 percent of your budget for contingency purposes. Labor delays, bad weather, or unavoidable circumstances like medical emergencies will push your costs up and you rather be safe than sorry. But also look at the contingency budget as the amount you never wish to cross. This way, you will almost definitely be able to stick to your budget. The best thing about the internet is not the fact that you can buy anything. It also means you can buy anything for prices you can never imagine. Black Fridays may be an event, but smaller sales are not. Once you have made a list of all you would need, keep an eye on the internet to see if you can procure something for cheap. Even offline, talk to people who may be disposing of something they do not need. In short, if you plan the remodeling in advance, you always have enough time to buy everything at reasonable costs. Last-minute trips to shops and hardware stores are never fun and even less so when you end up paying more than your budget. You can also check out some kitchen remodeling ideas that could save you money. Only adding a kitchen island or replacing your backsplash can significantly change the look of your old kitchen, but won’t break your bank. This article is posted by and in partnership with KBR Kitchen & Bath, a kitchen and bath remodeling company in Virginia and Maryland.